One of my favourite comfort foods is my grandma’s recipe for a Dutch bread called Roggebrood (translates to ‘rye bread’). My dad usually makes it during the fall & winter months because it’s dense & hearty. I had it over Christmas and was inspired to make it myself the other weekend. 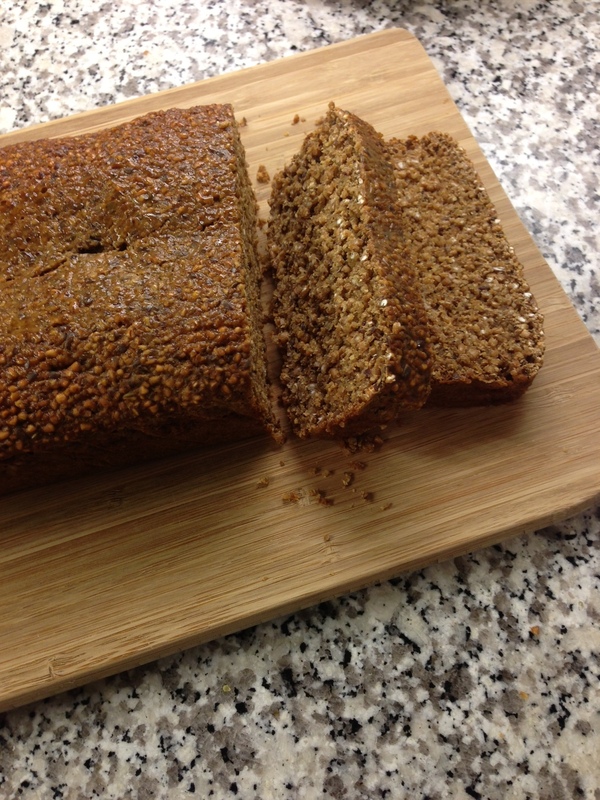 When buying the ingredients I realized that my grandma was definitely ahead of the game when it comes to health foods – this bread is all-natural, and made with healthy ingredients like 100% whole grains and molasses. The majority of the dry ingredients are made up of Red River cereal, which is an all-natural, 100% whole grain mixture of cracked wheat, cracked rye and flaxseed. Whole grains are awesome because they’re high in fibre, and are full of vitamins & minerals – all of which you miss out on when you buy processed & refined grains (ie. all-purpose flour). Whole grains help our body metabolize fat more efficiently, and they don’t spike our blood sugar; keeping us feeling full longer, which contributes to maintaining or losing weight. The flaxseed is a great source of ALA omega-3 fatty acids, which are important for healthy brain & nervous system functions (ie. help prevent dementia, anxiety & stress). The other main ingredient in this bread is molasses, which I think has been overlooked lately in terms of healthy, all-natural sweeteners. Blackstrap molasses; the type derived from cane sugar is a rich source of calcium, magnesium, postassium & iron – it actually used to be sold as a health supplement! This bread has an amazing nutty, sweet & salty flavor, great texture, and tastes so good with a few pieces of melted old white cheddar cheese on top – enjoy! Line 2 loaf pans with parchment or wax paper. In a large bowl, stir together dry ingredients until combined. Stir in the wet ingredients, and mix everything together until smooth. Mixture will be quite wet & runny. 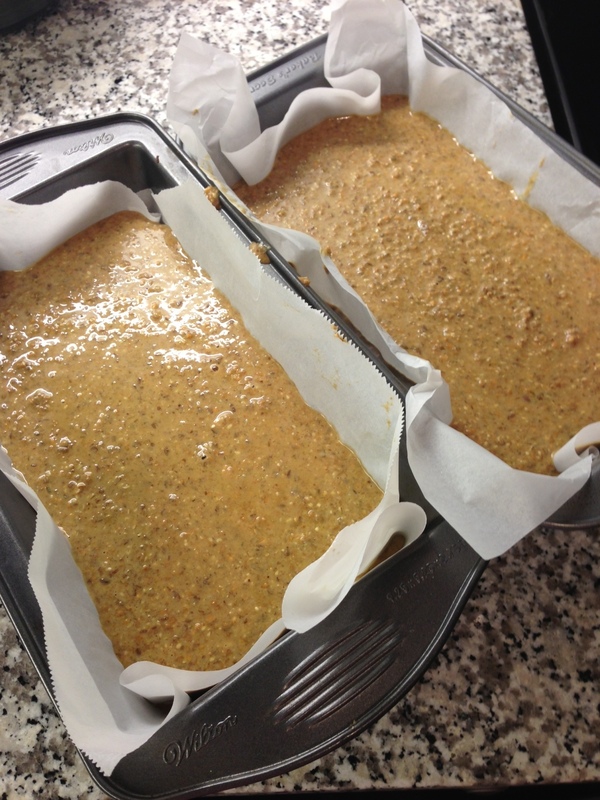 Fill pans with mixture and cook for 50 to 75 minutes (2 loaves took 75 mins in my oven). The way to test if cooked is to pierce with a wood skewer or knife and if it comes out dry it’s done. Cool for 15 min. then remove from pans and peel off paper. I usually slice and freeze one loaf for later, and keep one in the fridge. 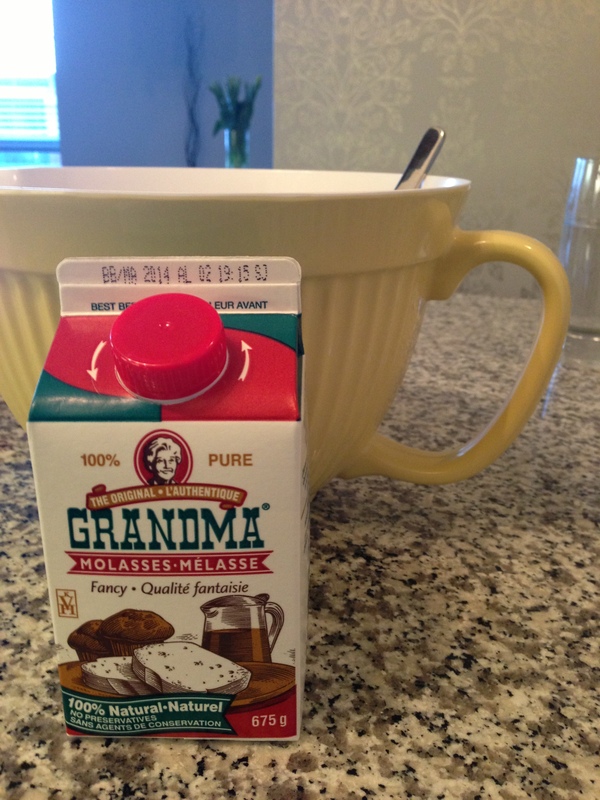 Good to ‘see’ this great recipe in action, gramma wouls have tears in her eyes! Yummy, I make this quite often!! I usually wrap it in foil almost right away when it comes out of the oven and put in fridge to cool, for whatver reason, this really makes it nice. After cooled I keep it in foil and put it in ziplocs. You can slice it and rewrap in foil and ziplocs too. Good choice Lauren!!! Sounds delicious! I will soon be giving it a try! I have been looking for this recipe. I have only one (minor) critique. It’s spelled Roggebrood (if you’re Dutch). 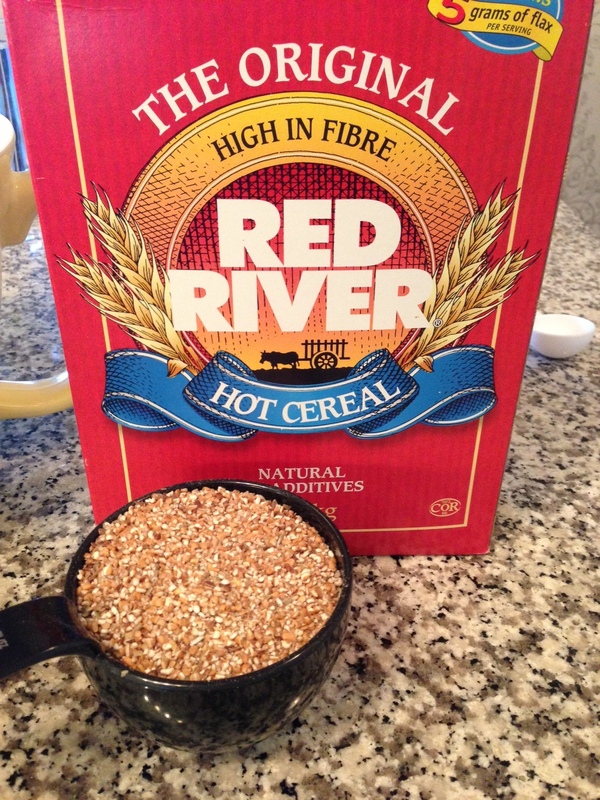 I’ll be trying this as soon as I can get my hands on some Red River cereal. Oh, amazing! And thank you for the spelling!